Infosys Finacle tells us why the IoT could be the key to a new level of innovation. Evidently, the whole of the emerging smart universe is greater than the sum of its ingenious parts. From assembly lines of chassis and frugal thinking such as the rear view convex mirror, to integration with modern technologies such as GPS and complex engineering behind dashboards, incremental innovations have been making automobiles smarter for over a century. Near field communication, mobility, analytics and connected things are powering possibilities of smart homes that allow residents to remotely control access, lights, and air conditioning without having to be at home. This is the connected world of the Internet of Things, a world not confined to devices or gadgets but one that encompasses transformation of entire cities. Dublin, one of the early adopters of the smart city concept has a city-wide network of sensors that can provide a real picture of what’s happening across the city at any given point in time. 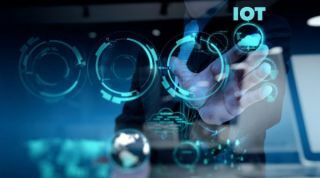 And then there is the Industrial Internet of Things (IIOT) where applications such as automated inventory tracking in trade finance are driving and enabling phenomenal efficiencies. Engineering giant GE estimates industry productivity to generate $10 trillion to $15 trillion in GDP worldwide over the next 15 years. IoT is making businesses rethink their models, products, the way they offer products and their pricing. The hand-shake between the consumer side and the supplier side in any transaction between things requires a financial exchange. This puts banks and payments at the center of every IoT ecosystem. In the future, as self-driving cars pay for tolls and fuels, payments will have to evolve to talk to these smart cars. In a smart home, smart meters would not only help users prevent wasteful use but also manage energy expenditure better. In a smart city, banks will facilitate the exchange of not just finances but also customer information among various players in an ecosystem, for building services best suited for citizens. Access – Instead of customers coming to the bank, the bank of the future will go to the customers. Banks will need to ensure they are available for their customers at all times on the channel of their choice. In the age of IoT these channels could be a smart car, a smart refrigerator, a chatbot, a voice assistant or any connected device. In addition to being accessible to customers, banks will need to ensure access to the data streams from these connected devices. A comprehensive omni-channel approach to ensure presence across channels and a holistic data strategy to facilitate consistent and accurate data feed into the analytics system is integral to the success of a bank’s IoT strategy. Insights – Converting the captured data into insights is the next step in building a successful IoT strategy. Banks must have a strong analytics engine to drive and enable insights-driven decisions. The data could be as varied as a customer’s activity level captured by a fitness tracker to purchase habits recorded in the bank account to location details on the cell phone. Action – And finally, in the last mile of the service or process the IoT device must be configured to initiate insights-driven action. For example, in trade finance the device sending an automated alert in the event that a perishable shipment is at the risk of getting damaged. With increasing connectivity, the risk of malicious attacks and confidential data records getting exposed is also on the rise. Gartner estimates that by 2020 about 25 percent of identified enterprise attacks would involve IoT. Clearly, with devices, data, and integration end points multiplying, the impact of vulnerabilities in a system will also multiply. Banks must pull out all stops to combat these threats with solutions that bring together the power of AI, machine learning, biometrics and more. In our experience, with the Infosys Quality Assurance Platform, the Infosys DevOps Platform, and Security competency, we are already beginning to see a surge in agile digital testing for AI and automation, and expect a growing trend in the space. IoT is helping businesses integrate services and foray into adjacent industries. Agile service providers are tapping into the potential of IoT to inch their way into financial services. Banks risk being reduced to back-end processing entities if they do not move fast. But the good news is that banks have customer trust on their side as institutions that customers have entrusted their fortunes with for years. If they can successfully demonstrate secure banking transactions on different form factors and devices in the age of IoT, they can bolster customer trust. This way they can not only prevent the circle of evolution from closing in on them but also retain their primacy in payments and financial services.